This entry was posted in Retirement and tagged ', age 62, benefits, full retirement age, retire, retirement, retirement age, retirement benefits, Retirement Planner, Social Security benefits, social security retirement, ssa retirement, when to retire by Jim Borland, Acting Deputy Commissioner for Communications. Bookmark the permalink. Any word on the HR 711 current Legislative session to repeal the WEP ? No, and that’s going nowhere fast. Hi Kathy. The Windfall Elimination Provision or WEP is still in effect, and we have not received any reports of changes to this law. A pension based on work that is not covered by Social Security (for example, Federal civil service and some State or local government agencies, such as police officers and some teachers), may cause the amount of your Social Security benefit to be reduced. Your Social Security benefit can be reduced based on one of two provisions: The Government Pension Offset and the Windfall Elimination Provision. I think you should mention two things: if you take retirement at 62 instead age 70 you collect 8 years of benefits – if you live so long that was a bad decision after you reach 82 and if you die sooner you have collected more and if you die before 70 you would have collected nothing that you had put in. The other point I am asking you to explain–I should have taken on my husband’s benefits first and no one told me about that–it is a little known option. I believe you can either continue to receive your benefits or file for his (and lose yours) . Check with you local SS office to see which amount is higher…. Social Security will not tell you anything that is to your benefit. They should not encourage people to take benefits at 62. You get alot less than if you wait for full retirement age. Hang on until 70 if you can and the benefits are better. They and the government (regardless of party) do not care that most people do not have a back up retirement and that SS is all they will have for retirement. After all they don’t depend on it, their retirement system is separate and different, gouging the taxpayers like a knife in the back. Hi Patti. Please bear in mind that the decision on when to apply for benefits is a personal one. We can only provide you with the information to help you make the best choice according to your own situation. If a person begins to receive benefits at age 62 or at any time prior to their full retirement age, their benefit amount is reduced. In the other hand, you earn Delayed Retirement Credits when and if you delay getting your benefit up until age 70. To help individuals plan for the future, we ask them to use our Retirement Planner. Also, we ask them to create a my Social Security account. With a personal my Social Security account, individuals can review and verify their earnings, get their Social Security Statement, and much more. We hope this information helps! Do you have a family member or someone who can help you navigate the system? Sometimes community centers or cities will have a case manager or social worker who serves seniors. You may be eligible to receive your husband’s benefit instead of your own. Also, your senior living facility may not like this but maybe it is time to find a less expensive place to live. Hello Ms. Petroske. Sometimes, a person may be eligible to more than one benefit at the same time. For example, a person may be entitled as a retired worker on his or her own record and as a spouse or a widow on another record. Under current law, a person’s benefit amount can never exceed the highest single benefit amount to which that person is entitled. In your case, it is likely that you are receiving the highest benefit amount that you’re entitled to. For more information and to speak to one of our representatives, call our toll free number 1-800-772-1213, Monday through Friday, between 7 a.m. and 7 p.m. Thanks! Dena, that is a horribly convoluted explanation, can you clear it up please? What she is saying is that everyone who files for retirement benefits has a choice of taking a reduction in the amount for claiming it early and before the full retirement age (FRA), currently age 66, or delaying until as late as age 70. Once you reach age 66 you can obtain an additional 2/3% per month until age 70 in the monthly amount through the receipt of delayed retirement benefits (32% total). So there is a wide range of choice. If you wait to file, you are gambling that you will outlive the breakeven point where under either choice of earliest or latest, you would have accumulated the same total amount of benefits paid. There are other aspects that are individual: do you have other retirement income, how will your taxes be affected, etc. The rule about starting as a spouse and then switching to your highest retirement amount at 70 depends on certain factors. You have to wait until your FRA to file as a spouse. Then you wait until age 70 to file for your own benefits. You cannot file for one or the other before your FRA otherwise “deemed filing” applies and you only get the higher of the two. Congress pulled these options away in 2015 as it was not the original intent. Being eligible as a spouse was supposed to occur because your own earnings were too low to result in a higher amount. So the loophole was closed. If you turn 62 in 2016 or later, you can only get the higher of the two regardless of your age. In addition, if your spouse suspended his/her own retirement checks to make you eligible, any month he/she does not collect a payment you don’t either. Senator Schumer once said that the SS system was not designed to be a huge ATM. That included people who collect their benefits, collect interest or investment gains and then pay back SSA, keeping all the interest or other gains. You cannot withdraw after one year of receiving retirement benefits any more. Only 3-4% of the population can afford to manipulate these entitlements, taking money out of a system that is running low on assets. That was unfair to the other 96% of recipients dependent on the system for their main retirement income. To a minority of recipients it seems unfair, but that ignores the bigger picture of the larger pool of recipients, where it was the right thing to do. There was an LA Times article about how the lives of many divorced women will be destroyed by changing this law. It was done quickly and quietly before the election. It was done because it was not fair. Section 831 of the Bipartisan Budget Act of 2015, made some changes to Social Security’s laws about claiming retirement and spousal benefits. See “What do the Recent Social Security Claiming Changes Mean for Me” for more information. Kay B, you can only receive benefits off of an ex- spouses record under certain circumstances. Thank you for your comment Dena. Please bear in mind that the decision on when to start receiving retirement benefits is a personal one. We can only provide you with the information to help you make the best choice according to your own situation. If you have specific questions, please call our toll free number at 1-800-772-1213, Monday through Friday, between 7 a.m. and 7 p.m. and speak with one of our representatives. Hi Kevin. There is no penalty if you want to delay your benefits until age 64. For Retirement Benefits, we use the individual’s highest 35 years of earnings, to compute his or her monthly benefit amount. As you know, you can start receiving retirement benefits as early as age 62, but if you decide to get benefits before your full retirement age, they will be reduced. In the other hand, starting to receive benefits after normal retirement age may result in larger benefits. You may find our Early or Late Retirement Calculator helpful. Happy planning! A) Take SS sooner – receive less $$ per month but more $$ over the course of your life. B) Take SS later – receive more $$ per month and less $$ over the course of your life. Since there is no guarantee as to one’s mortality, I say – stay in the middle. I am 67 yrs old, newly retired and receiving a pension. I have opted to start receiving SS at age 68 which will give me a descent increase to my pension income (about $2,600/mo). Lyndon B Johnson, back in 60’s started tapping into the social security funds to use for other government expenses, thereby stealing social security funds from all of us who paid into it. When are those funds going to be paid back to the social security fund and WHEN is the government going to stop using ss money for government expenses OTHER THAN STRICKLY SOCIAL SECURITY, FOR WHICH IT IS INTENDED. This is not partisan. Every president has done this. And Congress was entirely complicit…again both parties. The money invested by SSA in Treasury bills was not kept off budget allowing politicians to claim a smaller deficit than really existed. Since the money was not kept separate, it created a huge set of IOUs. Think of Harry and Lloyd in Dumb and Dumber when they spent the stolen loot and put IOUs in the case. Take a pat on the back for voting for Harry and Lloyd in every election since 1964. After 60 years that horse left the barn a long, long time ago. It was borrowed and paid back with Treasury notes, no one stole anything. Paid back with Treasury notes? And what backs the Treasury notes.? It’s called the D.C. Shuffle -a nifty little dance that originated in Congress. The lyrics are good and the tune is catchy and you never feel yourself being fleeced. Alllow individuals to invest their paid in funds in safe private investments. Keep the Politicians grubby hands out of your DEDUCTED contributions !!!!! Marcel, as stated above this is not a Democrat issue. Both parties had a hand in how to manage budgets. Ah, yes, “safe” private investments…you mean like the stock market in 1929? Or the stock market crash in 2007??? Sorry, many people (myself included) LOST half or more of their 401 (k)s, and those are in Money Market accoints, about as “safe” as you can get (except tor TREASURY BONDS, which is what the SSA Trust fund s repaid with). The people who were in the actual stock market actually took a bigger bath – except of course, the hedge fund managers, investment bankers, and corporate CEOs; they made out just fine. That’s the reason Social Security was created; in order to ensure we (the average person) would have SOMETHING at least to keep us off the street in our old age. It’s invested and kept safe for ALL people, not just those who are well off or comfortable enough to be able to accumulate enough to save for a decent retirement. As I’m sure you’re aware, most Americans are living paycheck to paycheck, most are in debt and can’t even get out, and most of us are unable to save even for emergencies, and certainly not for retirement. I approve your appeal, you are not stop, proceed to go. It would be soooo nice if these articles included an option to print! This is information that most of us need to refer to again and again as we go through this process…it would be nice to have someone think like us/understand our needs when publishing this information. Write to your congressman, don’t whine here. Coral, punch control, then print for a copy.It works great! There are quite a few “civil servants” that opted out of Social Security and instead got into program like PERS. Both my husband and I have paid into Social Security. If he dies, I will be able to collect ONE payment from Social Security either his or mine. That same rule applies to “civil servants”….. and rightly so. Go to the Social Security website. There is a lot of great information about Social Security and Medicare. If you have questions about your Medicare – which you may not even know you have – go talk with a HICAP counselor. Hopefully there is one in your area. No one gets this information until its too late sometimes and it can be overwhelming. A HICAP counselor (Health Insurance Counseling and Advocate Program) are not insurance agents so they will explain your options and hopefully save you money by getting you into the right plan. We are sorry to hear about your loss Debbie. Social Security (Retirement, Survivors, and Disability Insurance) programs and Medicare’s Hospital Insurance (HI) program are financed primarily by employment taxes. Most people don’t pay a premium for Part A (HI) because they or a spouse already paid for it through their payroll taxes while working. Most people pay a monthly premium for Part B. Medicare Part B (Medical Insurance) helps cover doctors’ services and outpatient care. It also covers some other medical services that Part A doesn’t cover, such as some of the services of physical and occupational therapists, and some home health care. Part B helps pay for these covered services and supplies when they are medically necessary. Please visit http://www.medicare.gov for more information. Hi Lesly. The most important thing to remember about an appeal is the time-frame during which you can ask for one. Depending in what type of appeal you’re requesting, you may only have 10 days or 60 days to request an appeal. If you don’t request an appeal within the required time limit, you may lose your right to an appeal and the last decision we made becomes final. In some cases, if you have a good reason for not appealing your case within the time limits, we may give you more time. Please continue working with your local office on this matter. If you are unable to visit your local servicing office, you may call our toll free number at 1-800-772-1213, representatives are available Monday through Friday between 7 a.m. and 7 p.m. Generally, you will have a shorter wait time if you call later in the week. Thanks. Debbie.Smith, you can receive your Social Security Retirement as long as you live. But, you Social Security Retirement will be reduced for the rest of your life because you took Early Retirement. The money you pay for Medicare now are monthly insurance premiums. You also have co/pay and deductibles to pay like with any insurance. There must be more to that story. His time as a teacher is being paid through a teacher retirement. For his other job did he work his 40 quarters to qualify for Social Security? You can go on-line to the Social Security website to see how many years qualified and what his amount should be. If it does not make sense then call Social Security. As a teacher I get my full school retirement and my full social security. Yes he worked enough quarters to draw Medicare, but SS check is only 1/2 of the true benefits. I don’t understand why some can get full benefits and other not. Hi Dorene. Your Social Security benefit can be reduced based on one of two provisions: The Government Pension Offset and the Windfall Elimination Provision, if you receive a pension based on work that is not covered by Social Security (for example, Federal civil service and some State or local government agencies, such as police officers and some teachers). I just learned that I am able to collect on my husbands 50 % of his benefits which is higher than mine. My husband is now 77 years old and I’m 76. Is it too late to apply for the 50 % benfits of my husbands. And if so will I get back pay from the time he retired at 65 years? Thank you for your question Mary. Generally, we check for all other benefits that you may be eligible at the time you apply for your retirement benefits. Your benefit as a spouse can only be equal to one-half of your husband’s full retirement amount if you start receiving those benefits at your full retirement age. Also, when you qualify for Social Security benefits on your own record, we pay that amount first. But if you also qualify for a higher amount as a spouse, you’ll get a combination of benefits that equals that higher amount. We hope this provides some clarity. If you have specific questions, please call our toll free telephone number at 1-800-772-1213. Representatives are available Monday through Friday between 7 a.m. and 7 p.m. There is a glaring misstatement in this blog post. As I retired former SSA claims rep, I know that applying for a retirement early may limit the potential monthly survivor benefit payable to a spouse in the future, but the OPPOSITE is true for a spouse who is currently eligible. The spouse will permanently LOSE a monthly payment for every month that the higher wage earner delays applying for retirement, and if that spouse has already reached full retirement age when the wage earner becomes eliligible for retirement, she (or he) will not receive a higher monthly benefit by delaying it. A spouse can no longer begin receive benefits before the wage earner begins receiving retirement benefits, and neither can any minor or disabled children, unless the wage earner is deceased or.disabled. That is the correct information, and hopefully it will prevent some people from losing benefits because of a badly- worded sentence on an official agency blog post. I should also point out that several years ago, the SSA policy manual was rewritten to prohibit SSA employees from doing a breakeven calculation or advising clients regarding which month to begin receiving benefits; employees were instructed to accept the client’s choice, even if the employee knew that choice was not necessarily the one which appeared to give the client the greatest advantage. As I stated in my book, “Get Yours! How to SUPERSIZE Your Social Security,” it was like forcing a doctor to give a patient any drug or surgical treatment they requested, just because it was the patient’s own personal choice (no matter if the doctor knew better based on training and experience.) That amounts to deliberate negligence on the part of SSA top management, as a response to the staffing pressures created by Congress, whose unreasonable budget constraints have crippled Social Security field operations to the point where they cannot afford the time to allow employees to do their job properly. They are not allowed to explain be benefit options fully because they just don’t have the time. The agency hopes that nearly everyone will learn everything they need to know online and be able to understand what is best for themselves. It’s almost like doing a Google search and then attempting to do surgery on yourself! You might get it right, but some things are best left to trained, experienced professionals. I be 63 in April 2017 but do not plan to retire until after my FRA, around Dec so I would be 66 and 8 months, & get an average of 5 years of pension that is calculated using the last 5 years that I work. It would be silly for me to leave in the middle of the year and only get 4.5 years. I am also a widow since age 48. My husband never got to retire, he was 59.5 yrs old when he passed away. I have studied the SS and figure that I should take my pension at the end of Dec when I am at FRA, will I also be able to get survivor money and be able to use his SS until I turn 70 yrs old, putting mine on hold? When I turn 70 switch to my social security benefits? Hi Maria, thank you for using our blog to contact us. Here is more information to consider, when making the decision on “when to apply for Social Security benefits”. First, if you are the widow of a person who worked long enough under Social Security, you can receive reduced benefits as early as age 60 (age 50 if disabled). In many cases, a widow can begin receiving one benefit at a reduced rate and then, at full retirement age, switch to the other benefit at an unreduced rate. Also, if you qualify for benefits as a Survivor, your full retirement age may be different. You can still work and receive some or all of your Social Security benefits. Visit our Retirement Planner: Getting Benefits While Working, and read our publication: How Work Affects Your Benefits for more information. Please bear in mind that the decision on when to apply for benefits is a personal one. We can only provide you with the information to help you make the best choice according to your own situation. If you have specific questions, please call our toll free number at 1-800-772-1213, Monday through Friday, between 7 a.m. and 7 p.m. and speak with one of our representatives. We hope this information helps! I believe that the retirement age was pushed up so no one would get the pay. At 70 you won’t live long enough to enjoy retirement 62 should be the age to retire with full benefits. I believe that it is so hard on the seniors today so they have a hard time making ends meet. If someone pays in for so many years why can they not have their money? I think the whole thing is just a mess. The people that never pay into anything receive more and faster makes no sence to me. I understand disability if that person is really disabled but I see so many that are able to work somewhere and get paid. If you are still working at your FRA, can you collect your deceased spouses’ SS without any penalty and then switch to yours at age 70? Thank you for your question Lee. In many cases, a widow can restrict the scope of their application and start receiving their survivor’s benefits, while delaying their own retirement benefit and earn delayed retirement credits. As a widow, if you are also eligible for retirement benefits (but haven’t applied yet), you may apply for retirement or survivors benefits now and switch to the other (higher) benefit at a later date. The rules can vary depending on the situation. We recommend that you contact your local office or call our toll-free number at 1-800-772-1213. Representatives are available Monday through Friday, between 7 a.m. and 7 p.m. Keep in mind that if you were born January 2, 1955, through January 1, 1956, then your full retirement age for retirement insurance benefits is 66 and 2 months. If you work, and are full retirement age or older, you may keep all of your benefits, no matter how much you earn. When a 57 year old man remarries will he lose his current SS disability payments? Hi, if you get Social Security disability or retirement benefits and you marry, your benefit will stay the same. Click here to see how marriage may affect other benefits. If I am receiving $2000 from SS currently, and my wife begins to receive spousal benefits at age 62 (she is not eligible for her own benefits), I know she will get about $700. If she starts receiving this at age 62, and then I die, how much will she receive for survivor benefits? Does it just switch to the higher rate? Hi, Jane. Thank you for your question. Typically, a widow or widower at full (survivors) retirement age or older generally receives 100% of the deceased worker’s amount. If you should pass first, your wife will probably collect the highest benefit amount. This chart lists full retirement ages for survivors based on year of birth. We hope this helps! Don’t believe that.She will get widow’s pension.I should know.My husband passed away last year and I was told I have to wait until I’m 66to get his money. I am 62 going on 63. At FRA (age 66) I started collecting SS on my deceased ex in order to let mine grow. I plan on working for 2 years (age 68) and then switch to mine. I turn 68 on 12/26/18 so I would like to switch to mine in Jan. of 2019. In order to include my wages for my last year worked in the equation, should I wait until I file my taxes for 2018 or will SSA automatically adjust my benefit after I file? Thank you for your question Leah. You don’t have to wait to file your income taxes. You should apply for your retirement benefits as soon as you stop working. We will re-figure your benefit and pay you any increase due. This is an automatic process. We hope this helps! Question: I started collecting SS at age 66, my wife at age 62. She is now 66 can she now collect 50% of mine since 50% of mine is more than the amount she is getting? I turn 66 in June 2018. Can I start receiving my full retirement amount starting January 2018 if I earn 40k before turning 66? If so, when should I apply in order to get my first payment in January? Hello, Joep. You are correct. At full retirement age, one can earn $44,880 this year. Also, you can apply up to 3 months in advance for benefits. To learn more about how work affects your benefits visit our publication, How Work Affects Benefits. Thanks. Also, I was told that my Medicare Part B premium for my “entire” birth month would be taken out of my first SS check that I would receive the month following the month I reached FRA that my benefit became effective. Is that true? My husband’s was higher than mine and I got this remark I am getting 20% of his earnings and I.have to wait until I’m 66 years old to get his money . I’m getting widow’s pension along with my disability. I’ll be 66 in June 2017 but I’m considering taking benefits this october. Does the earnings test begin at time of application for ssa benefits or do they look back at ytd earnings going back to January. Good question! The retirement earnings test applies only to individuals below full retirement age. You can still work and receive your Social Security retirement benefits at the same time. However, if you are younger than full retirement age and make more than the yearly earnings limit, your Social Security benefits will be affected. If your earnings will be over the limit for the year but you will be retired for part of the year, we have a special rule that applies to earnings for that one year. For 2017 the earnings limit for those individuals under full retirement age is $16,920. This limit changes in the year you reach full retirement age. In the other hand, if you work and are full retirement age or older, the amount you make at work will not affect your Social Security benefits, no matter how much you earn. To learn more, please visit our Frequently Asked Questions web page or read our publication: “How Work Affects Your Benefits“. Our Retirement Estimator gives you future estimates of your monthly Social Security benefits based on your actual Social Security earnings record. In addition, we have a variety of other calculators to help you plan for the future. Which calculator you choose depends on what you want to do. We hope this information helps. Happy planning! It seems that you’ve got it right Pam! –	The earliest age you can apply for (your) reduced retirement benefits is 62. –	In order for you to get spouse’s benefits, your spouse must be receiving retirement or disability benefits. –	If you’re receiving benefits on your own record and later become eligible for a higher amount on your spouse’s record, you will then get a combination of benefits equaling the higher spouse benefit. Please visit our “Retirement Planner: Benefits For You As A Spouse” for more information. Thanks. I will be 62 in August of 2017 and I am considering taken my reduced benefit and doing some part time work. I understand that my reduced benefit will be reduced $1 for every $2 I work over the annual 16+k cap. – Does or is the reduction or further reduced monthly benefit amount: 1.) Recomputed each year annually based on the previous year’s earnings? b.) Is the amount of earned annual income over the cap spread out over the next 12 month until the next evaluation of income, or, are the number of annual benefit checks for any given year simply reduced to cover the “1-2” income benefit reduction? My concern is that if I work and my wages change from year to year I will be stuck with whatever that first reduced amount (inclusive of the reduction for excess work income) was for the rest of my life – and that this amount won’t adjust according to any annual work income. I sincerely hope my questions make sense. Sometimes it’s hard to even formulate the questions to ask succinctly and correctly. I very much appreciate the chance to have this dialogue. Excellent questions Jeff. First of all, you can work while you receive your Social Security retirement benefits. If you have already earned more than the yearly earnings limit for 2017, we only count your earnings from the time you start receiving your retirement benefits. We have a special rule that applies to earnings for one year, usually the first year of retirement. 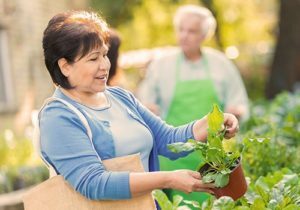 At age 62, if you continue to work this year, you are considered retired in any month that your earnings are $1,410 or less and you did not perform substantial services in self-employment. Beginning in 2018, the deductions will be based on the annual earnings limit. If you are under full retirement age, we’ll deduct $1 from your benefit payments for every $2 you earn above the annual limit. It is important to note that any benefits withheld while you continue to work are not “lost”. Once you reach your full retirement age, we will recalculate your benefit amount to give you credit for any months in which your benefits were withheld because of your earnings. Our system is set up to take applications three months in advance. When you are ready, you can apply for your Social Security retirement benefits online. If you need further assistance, please call our toll-free number, 1-800-772-1213. Representatives are available Monday through Friday, between 7 a.m. and 7 p.m. Happy retirement! I’m still working and will be 70 in Feb. 2018. Should I wait until Feb 2018 to claim my SS benefits to include my 2017 earnings in the final SS computation or it doesn’t matter and I should just apply for benefits 3 months in advance of my 70th birthday? Thank you for your question Paul. You should apply three months before you want your benefits to start. We will review your earnings record later to consider your 2017 earnings and make adjustments to your benefits if necessary. Now is a good time to create a My Social Security account to review your earnings record and get an estimate of your future benefits. Remember that when ready, you can complete the online application for your Social Security Retirement Benefits in as little as 15 minutes. Happy planning! Thanks Ray! One more question please. So, in Feb 2018 at age 70 I will start receiving benefits. My wife will attain FRA (age 66) in Apr 2018. Can she apply for benefits but restrict her claim to her spousal benefits only based on my work record and continue to build up delayed retirement credits until age 70? Note that I filed and suspended my own benefits under the rules prior to Apr 30, 2016. Hi Paul. The new rules specify that if you turn 62 before January 2, 2016, deemed filing rules will not apply if you file at full retirement age or later. This means that your wife may file for either spouse’s benefit or her own retirement benefit without being required or “deemed” to file for the other. This option allows couples to start receiving spousal benefits at full retirement age, while letting their own retirement benefit accrue Delayed Retirement Credits. Visit our Retirement Planner: Deemed Filing – Frequently Asked Questions page for more information. We hope this helps! I will be 66 June 2018. can i start getting social security from my spouse if my full retirement age is 66 and I request my spouse’s Social security payments commencing January 2018. will that affect my husband benefit amount? Hi Maria, you may be able to get spouse’s retirement benefits if you are at least 62 years of age and your spouse is receiving retirement or disability benefits. Under existing law, if you are eligible for benefits both as a retired worker and as a spouse and are not yet full retirement age, you must apply for both benefits. You will receive the higher of the two benefits. This requirement is called “deemed filing” because when you apply for one benefit you are “deemed” to have also applied for the other. See our Retirement Planner: Recent Social Security Claiming Changes or call our toll free number at 1-800-772-1213 and speak to one of our representatives for more information. Representatives are available Monday through Friday, between 7 a.m. and 7 p.m. Thanks! If you delay filing for social security past full retirement age by one year, when does the 8% increased benefit get applied? Thank you for contacting us, Katherine. Our system is set up to take applications three months in advance, and you can apply for your retirement benefits online. Benefits are paid the month after they are due. So, for instance, if you want your benefits to begin with the month of April, you will receive your first benefit payment in May. If you need further assistance call our toll free number at 1-800-772-1213 (TTY 1-800-325-0778). Representatives are available Monday through Friday, between 7 a.m. and 7 p.m. We hope this helps! Unfortunately, but for security reasons, we do not have access to personal records in this blog. Please contact the nearest U.S. Embassy or Consulate for assistance. Also, our International Programs web page provides more information for our customers living abroad. So is my monthly soc sec benefit based on my highest earning years or my last earning years? Does going from a full time job to a part time job at age 60 in effect reduce my benefits? Hi Lola, if you’re receiving disability benefits under the Social Security Disability Insurance (SSDI) program, we will automatically convert your disability benefits to retirement benefits when you reach your full retirement age. Generally, the benefit amount remains the same. Great question, Andrew! You can start your retirement benefit at any point from age 62 up until age 70, and your benefit will be higher the longer you delay starting it. However, if you decide to get benefits before your full retirement age, they will be reduced. For retirement benefits, we use the individual’s highest 35 years of earnings to compute monthly benefit amount. Please use one of our other benefit Calculators. Which calculator you choose depends on what you want do. In your case you may need to use our Early or Late Retirement Calculator. We hope this information helps! My mother, who was born in 1952, will be reaching her full retirement age of 66 this August. How do I ensure she receives her full benefits as soon as possible ? In other words, when does she have to apply in order for her to start receiving 100% of her full benefit as soon as possible ? Does she have to wait until August ? Hello Dale. Our system is set up to take applications three months in advance. Keep in mind that benefits are paid the month after they are due. So, for instance, if your mother wants her benefits to begin with the month of August, she will receive her first benefit payment in September. She can apply for her retirement benefits online. Please visit our Social Security Retirement Planner for more information. Thanks! I turn 62 on 6/19/2018. I will be applying for early social security. If I apply this month when will I receive my first check after my birthday. Thank you for your question Victoria. First, you have to be 62 for the full month to collect a benefit for that month. If you celebrate your 62nd birthday on June 19, the earliest you could start benefits is for the month of July. Remember that benefits are paid the month after they are due. So, for instance, if you want your benefits to begin with the month of July, you will receive your first benefit payment in August. Please, create a My Social Security account to review your earnings record and get an estimate of your future benefits. Our system is set up to take applications three months in advance, when ready, you can complete your application for retirement benefits online. We hope this helps! I will be turning 62 on 6/19/2018. I will be applying for early Social Security. If I apply this month when will I receive my first check after my birthday. Can Medicare begin before starting social security payments? Thank you for your question, Susan. Individuals who are 65 or older and not ready to start their monthly cash benefits yet, can use our online retirement application to sign up for Medicare ONLY and apply for their retirement benefits later. Since you must pay a premium for Medicare Part B coverage, you have the option of turning it down. However, we suggest that individuals speak to their health benefits advisor, or health plan representative to see what’s best for them, and to prevent any penalties or delayed enrollment in the future. To learn more about the Medicare enrollment periods visit http://www.Medicare.gov, and read our publication “Apply Online for Medicare – Even If You Are Not Ready to Retire” . We hope this information helps! Hello William, the earliest age you can apply for retirement benefits is 62. Our system is set up to take applications three months in advance. When you are ready, you can complete the online application for your Social Security retirement benefits in as little as 15 minutes. Remember that benefits are paid the month after they are due. So, for instance, if you want your benefits to begin with the month of february, you will receive your first benefit payment in March. Also, you can create a my Social Security account to review your earnings record and get an estimate of your future benefits. I just turned 64 and my full retirement is 66. I am a widow who has remarried at the age of 61. Can I draw my deceased husbands retirement and then draw mine when I retire? What is the limit of earnings? I will turn 62 ion November 10, 2018. How soon should I start to apply for my benefits ? about how many days after I apply for SS benefits do I receive my first payment. What time or times of the month do I receive my payment? The length of time it takes to process claim varies. We attempt to resolve all claims promptly, but there may be delays due to the volume of pending claims in your area. You may be able to check the status of your application online when using your personal my Social Security account. If you are unable to open a my Social Security account, you can still call our toll free number at 1-800-772-1213 to check your claim status by using our automated system using the confirmation number you received when you filed your claim. Or you can speak to one of our agents. Representatives at our toll free number are available, Monday through Friday, between 7 a.m. and 7 p.m. Remember that Social Security benefits are paid the month after they are due. So, for instance, if you want your benefits to begin with the month of June, you will receive your first benefit payment in July. See our Schedule of Social Security Payments web page for information on this subject. I turned age 65 this past March 12th, 2018. I am still working Full Time and have yet to receive Social Security benefits. I am married. I was thinking I need to “File and Suspend” – I have 6 months in which to do this. Hello Edward. If you take your retirement benefit and then ask (on or after April 30, 2016) to suspend it to earn delayed retirement credits, your spouse or dependents generally won’t be able to receive benefits on your Social Security record during the suspension. You also won’t be able to receive spouse benefits on anyone else’s record during that time. For more information about these changes in the law, please visit Recent Social Security Claiming Changes and our Social Security Retirement Planner. Thanks! Hello Verda. Social Security disability benefits automatically change to retirement benefits when disability beneficiaries attain their full retirement age. Benefits are not interrupted with this transition and the benefit amount will generally remains the same. Thanks! When should I start applying for benefits under my deceased husband’s record ? I will be 60 in December 2018. We’re sorry we missed your question, Patricia. Our system is set up to take applications three months in advance. However, you cannot apply for survivors benefits online. To apply for benefits or to set up an appointment, please call 1-800-772-1213 (TTY 1-800-325-0778). You can speak to a Social Security representative between 7 a.m. and 7 p.m. Monday through Friday. Generally, you will have a shorter wait time if you call later during the day or later in the week. You can also visit your local Social Security office. An appointment is not required, but if you call ahead and schedule one, it may reduce the time you spend waiting to speak to someone. Thanks! I will be 66 nov 30th, so when should I make application for ssa benefits ? Hello Michael. Our system is set up to take applications three months in advance and you can apply for your benefits online. Remember that benefits are paid the month after they are due. So, for instance, if you want your benefits to begin with the month of November, you will receive your first benefit payment in December. Please visit our Social Security Retirement Planner for more information. Thanks! Hi Eileen, thank you for the question. By delaying receiving your benefits beyond your full retirement age, you are receiving a higher benefit amount than you would have at age 66. Your year of birth and the number of months you delay determines how much your benefit increases. See our Delayed Retirement Credits web page for details. We do allow up to six months of retroactivity payments, only after you have reached your full retirement age. No retroactive benefits are payable for any month before reaching your full retirement age. If you apply for Social Security benefits and you change your mind about when they should start, you may be able to withdraw your Social Security claim and re-apply at a future date. My mother died on August 27,2018. Her monthly SS check was in her bank account on August 31st. Should this check be returned ? We are very sorry for your loss, Edna. Social Security benefits are paid the month after they are due. Based on your mother’s date of death, she is due the payment received in August. Typically, the funeral director notifies us of an individual’s passing by sending the deceased person’s death certificate to the local Social Security office. However, you may report the death of your mom’s passing by calling our toll free number at 1-800-772-1213. Representatives are available Monday through Friday, from 7 a.m. to 7 p.m. Thanks! I will be 62 years old on September 28, 2018. I need to take my benefits at this time. How quickly do my benefits start after I completely apply on line? I began the application and it offered an October 1 start date. Is that correct? Hi Nancy. You must be at least 62 for the entire month to receive benefits. In your case, the first month of eligibility is the month of October. Social Security benefits are paid the month after they are due. So, for instance, if you want your benefits to begin with the month of October, you will receive your first benefit payment in November. Please visit our Social Security Retirement Planner for more information. Happy Retirement! How long do I have to wait after I apply for retirement before I get a check? Hi Jose, thank you for your question. Social Security benefits are paid the month after they are due. So, for instance, if your benefits begin with the month of February, you will receive your first benefit payment in March. The exact payment date is determined by your date of birth. For future pay days, you may find the Schedule of Social Security Payments calendars useful. Keep in mind that you can apply four months before you want your benefits to start. I will turn 66 in Dec. of 2019. Can I receive full benefits beginning Jan of 2019? Still work with no penalties? If I retire at age 62 and do not start collecting social security benefits, do I still have to pay into the social security system until I reach full retirement age? I would be collecting a pension and using my savings to live on until I reach full retirement age which for me is 66.5 years old. Would I have to pay into the system between 62 and 66.5 for my benefits to continue to increase to 100% or beyond? Hi Jerome, thank you for using our blog. A Social Security retirement benefit is calculated by using your highest 35 years of earnings. If you do not have 35 years of earnings, we will use all of the earnings on your record and factor in an annual total of $0.00 earnings for each of the remaining years. Social Security has an online calculator called a Retirement Estimator that provides immediate retirement benefit estimates based on your actual Social Security earnings record. Plus, it also allows you to create “what if” scenarios. You can, for example, change your “stop work” dates or expected future earnings to create and compare different retirement alternatives. I’m past my full retirement age. ive been told i can file and get 6 months back lump sum check. how does this work and does it apply up to the age of 70. Hi Sherry: By delaying receiving your benefits beyond your full retirement age, you are receiving a higher benefit amount than you would have at your full retirement age. Your year of birth and the number of months you delay determines how much your benefit increases. See our Delayed Retirement Credits web page for details. To inquire about your benefit filing options, you can contact your local office or call our toll-free number at 1-800-772-1213. Representatives are available Monday through Friday, between 7 a.m. and 7 p.m.
if I turn 62 in January 2019 how many hours can I work with affecting my benefits . Hello Linda. If you receive Social Security Retirement Benefits and work and are under full retirement age, your annual earnings limit for 2018, is $17,040 ($17,640 in 2019). See more at “Getting Benefits While Working“. Thanks! My income is substantially less than my spouse. I am also planning to avail the social security benefits at age 64. However my spouse is going to work till 70 and file for these benefits at that time. I will obviously get whatever is due to me at 64, but I am interested in finding out if my benefit will increase, when my spouse retires at 70, since my spouse earns higher then me. Pl Advise. Hello Kamal. If a person begins to receive benefits at age 62 or prior to their full retirement age, their benefits are reduced. The reduction factors are permanently applied to all of the benefits the person may qualify for. You may still be eligible to collect reduced benefits on your spouse’s record when he starts collecting benefits. You would have to check with a Social Security representative at that time. Remember, if someone is eligible for both, his or her own benefit and for benefits as a spouse, we always pay their own first. If their spousal benefits are higher than their own retirement benefits, he or she will get a combination of benefits equaling the higher spouse benefit. If you have specific questions, please call our toll free number at 1-800-772-1213, Monday through Friday, between 7 a.m. and 7 p.m. Thanks! I waited until I was 70 to receive Social Security benefits. And retired a year ago at the age of 73. I just received a notice that my benefits are being cut by $134.00 a month. When I had been expecting an 8 percent increase annually. I’m 74 now, and my benefits are my only source of income. How could this have happened, when I waited and planned so carefully? Information should not be published if it’s not true. I now will have to appeal, at a time when all of these matters should have been settled. I worked hard for about total of 50 years. And having to go through this, breaks my heart. I’ve already submitted an application in Feb 2016. How do I now request to start receiving my SS payments? Sarah, thanks for using our blog to ask your question. If you’re already receiving benefits and you now what to apply for a different benefit, you will need to call us at 1-800-772-1213 (TTY 1-800-325-0778), Monday through Friday from 7 a.m. to 7 p.m. or contact your local Social Security office. I am on my husband’s SS. Now that I am 70, I would like to switch to my own SS. How do I do this? I cannot access any agent on the phone. I have tried multiple times and have been told to call back because all agents are busy. Hi Mary, thank you for your question. You can probably file that retirement application online as long as you are not currently receiving benefits on your own Social Security record and have not already applied for retirement benefits. To check out who can apply for retirement benefits online and to get started, click HERE. Okay, but, nowhere do I find what the time from application to start of benefits is. I received a letter from SSA stating to apply “right away” but when I go online it states I’m 69 and will receive a reduced benefit. Is this a method for the SSA to reduce their costs? Or, does it take five months between application and start of benefits? Are the benefits calculated from application date, SSA processing date, or date of first benefit? That is the question. Hi Bill, thank you for your question. Generally, you should apply for retirement benefits four months before you want your benefits to begin. Keep in mind that benefits are paid the month after they are due. So, for instance, if you want your benefits to begin with the month of June, you will receive your first benefit payment in July. Your benefit percentage is based on your full retirement age. If you delay filing, your retirement benefits will increase a fraction of a percent for each month after you reach full retirement age that you do not claim them until you reach age 70 due to delayed retirement credits. There is no incentive to delay claiming after age 70.
how much can I make per year ? also if I work till march or april 2019 and set up drawing in may will the money I made from jan to april effect my maxium year amount I could make with out being penialized? Can my wife apply for spousal benefits now that I have begun receiving my SSA benefits? She applied for her benefits early when she was age 62. Hello Clifford. We will always pay your wife’s own retirement benefit first. If benefits as a spouse are higher than her own retirement benefits, she will get a combination of benefits equaling the higher spouse benefit. However, the spouse’s benefit cannot exceed one-half of your full retirement amount. So, she can only receive additional spouse’s benefits if her own full retirement benefit (not a reduced benefit) is less than half of your full retirement benefit. Generally, during the initial interview when you applied for Social Security benefits, we typically explore all other benefits. To find out if she is eligible for a higher benefit amount, she can call us at 1-800-772-1213 between 7 a.m. and 7 p.m. Monday through Friday or contact her local Social security office. Thanks! I retired last August 2018; I expected to receive my first Social Security payment this week, Wednesday, January 9, 2019. I did not receive it. I also don’t understand how people I know that retired in the middle of the year received their Social Security payment the following month but I was told by SSA that since I worked half of 2018 I was not eligible. Please explain this to me. Thank you. I am going to be 66 In May. Can I apply for my SSN now or should I wait until May. Or apply now and hold it until May? Can a person with 40 quarters of work (SSA benefits eligible), stop working at age 59 years old and apply for retirement at age 62 received the same reduced benefits? Basically, I’m asking if I can get the estimated amount in my SS statement if I stop working and do not apply for benefits until I reach the minimum age requirement? I’ve been trying to get a copy of my1099 for 2018 and I don’t understand how it can be so difficult. I’m 88 and don’t remember if I set up an account or not – and how in hell can I remember what street I lived on in 3rdgrade or my first friend. Ridiculous. Hi Jeanne. We are sorry that you are having difficulties creating a my Social Security account. For assistance with your account and to request a replacement SSA-1099, you may call us at 1-800-772-1213 (TTY 1-800-325-0778), Monday through Friday from 7 a.m. to 7 p.m. At the voice prompt, say “helpdesk”; or contact your local Social Security office. may i change the 2 months that you withhold a payment to pay my estimated taxes? I am planning on retiring June the day of my birthdate how will i be penalized because i am not retiring at age 66? Thank you for your question, John. To compute the effect on your benefit amount if you file for early retirement, check out our Early or Late Retirement Calculator.